The Mingary Castle restoration blog was written by Jon Haylett, who lives in the local village of Kilchoan. Now that restoration is almost complete Holly and Chris Bull will take over to report on bringing the Castle back to life. Click here for the Mingary Castle website where you can now book your stay. "The most intact thirteenth century castle in Scotland" is how archaeologist Tom Addyman describes Mingary Castle. Seat of Clan MacIain, commanding the sea route through the Sound of Mull, Mingary dates back to the thirteenth century and may be much older - there is some evidence, not least from the name, that the Vikings fortified the site. However, since it was last inhabited in the mid-nineteenth century, the castle has been deteriorating. A recent survey showed that, unless urgent restoration work was carried out, the castle was in danger of collapse. 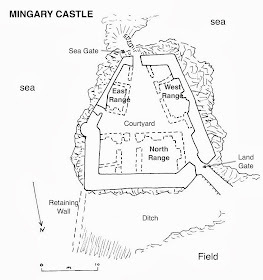 The Mingary Castle Preservation and Restoration Trust, which is Scottish registered charity SC043705, was set up in 2013 to address this problem. Work started on the site in April 2013, and it is hoped to have the building fully restored to its mediaeval grandeur by the end of 2014. Mingary Castle stands on Ardnamurchan Estate land, near the village of Kilchoan on the Ardnamurchan peninsula. Donald Houston, who owns the Estate and is responsible for the upcoming work on the castle, is determined that the many written records that are being prepared as part of the work should be fully available to the public on-line. 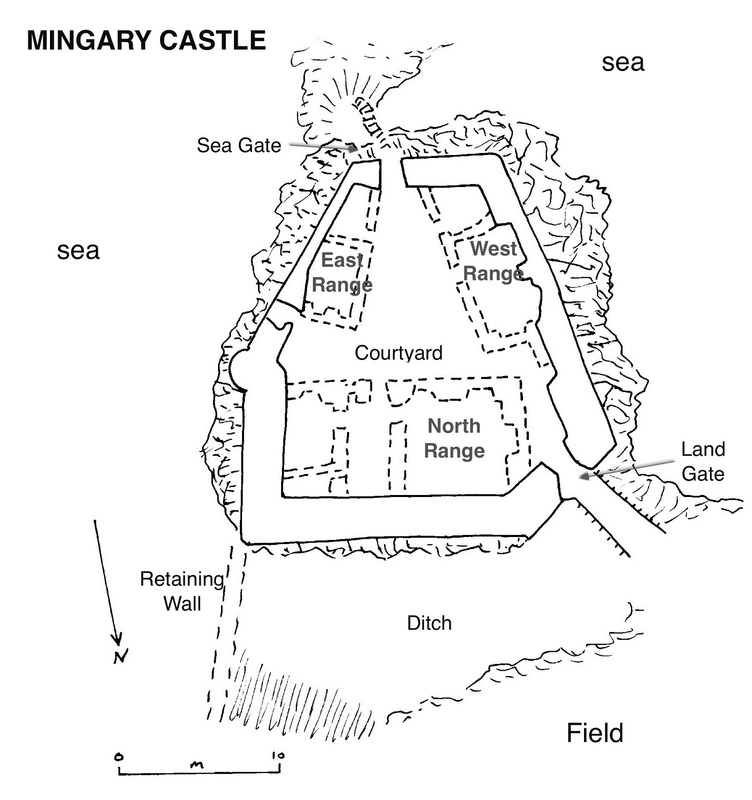 This will be done through the main Mingary Castle website, of which this blog will be a part. A history of the castle is available here, but a much more informed one will follow in the near future. We made it! - Sunshine and visitors at Mingary! Shaw & Jagger Architects are leading the project. ARC Engineers are the Structural Engineers. Ashley Thompson, main contractors specialising in conservation, restoration and refurbishment. Soft Furnishings by Sandra Jeffrey. If you have problems with Google's 'Comment' facility, then send the comment to our email address, and we will post it for you. The Mingary Castle blog is written by Jon Haylett, who lives in Kilchoan and writes the Kilchoan Diary. You are free to copy and use all photos and words under the Creative Commons Attribution/Share Alike Licence v3.0, terms here. If you use any of our pictures please give an attribution and a link to this website.